Our youngest Powell Sonaré artist, Emma Resmini, has graced stages as a soloist with the Dallas Symphony, National Symphony, and Pittsburgh Symphony – all before age 11. She is a remarkable musician who shares the interests of her peers in many respects. 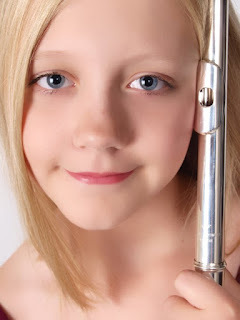 Having accomplished such notoriety at such a young age, we were anxious to chat with her about her experiences, favorite past-times, and advice for fellow flute students. Emma attended a Kindermusic class when she was three years old. She recollected that “at the end of class, the teacher would turn off all the lights and play the flute,” which is something Emma really enjoyed. She said that at that age, she really “didn’t talk much but began going around the house pretending everything was a flute.” Her parents purchased a flute for her, and she began taking Suzuki flute lessons with her mother. She progressed through the Suzuki books rapidly and went on to other repertoire. 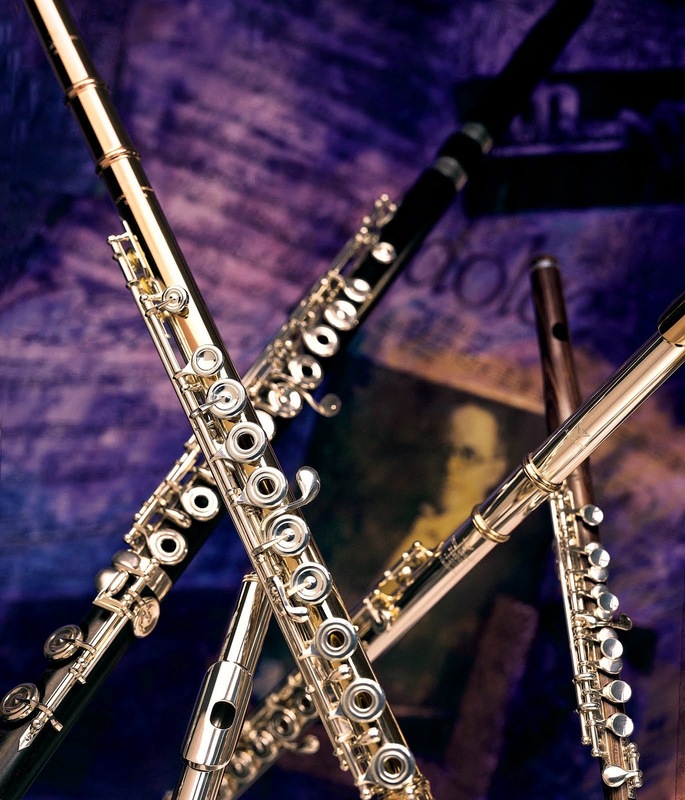 Emma then began studying with Judy Lapple, who was Professor of Flute at George Mason University. According to Emma, Judy was a terrific teacher who helped her tremendously with tone and repertoire. Emma then began studying with National Symphony Orchestra flautist Alice Weinreb. Like many flautists several years her senior, Emma takes weekly lessons from Ms. Weinreb that are about two hours long. Each lesson ends with a duet, which is one of Emma’s favorite parts of the lesson. Emma is now in her second year of the National Symphony Orchestra Fellowship program. The program is open to students in grades 9-12, yet special consideration may be made for those younger students such as Emma. She especially enjoys the chamber music component, which was something new for Emma when she began the program. In her first year, she was in a woodwind quintet and a harp and flute duo. This year, she is in a woodwind quintet and a flute and percussion duo. She enjoys performing on the Kennedy Center’s Millennium Stage and collaborating with members of her chamber music ensembles. Having performed as a soloist with several symphony orchestras, Emma is extremely comfortable on stage. As part of the fellowship program, she also has the chance to sit in with the National Symphony Orchestra in regularly-scheduled rehearsals conducted by Christoph Eschenbach. When we asked her what she likes most about the flute, she said that she really enjoys performing. Curious as to whether she gets stage fright, she said it “was a bit scary at first,” but she has certainly overcome the challenge. When Emma is not playing the flute, she said she enjoys taking care of her dog, Maxi, who is a Maltese and poodle mix. One of Emma’s other favorite activities is building model rockets with her father. At the end of our chat, we asked Emma what she would say to a student younger than herself who is just starting the flute. Emma said, “I would say, if you’re trying really hard, and you don’t think you’re getting anywhere, don’t give up – it takes time.” We certainly agree and thank Emma for the time she spent speaking with us! Emma had the chance to perform in the 2012 James Galway masterclass. Close-up on Emma at the Galway masterclass. I just ran across Emma's videos on YouTube while compiling a listening list for my flute students here in Massachusetts. Amazing talent and her duet with Carol Wincenc is a must listen for my 10-18 yr old students. Brava! 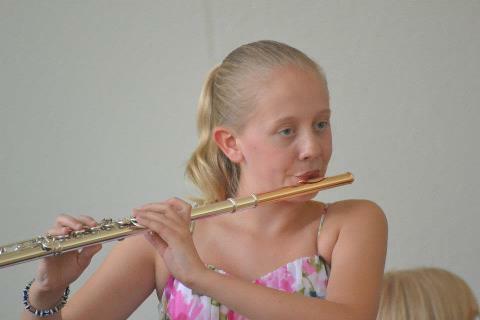 What a wonderful young flute player! 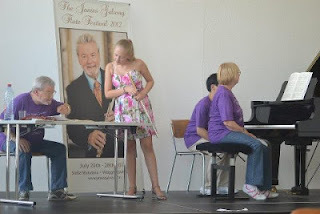 Emma is a great flute player and I am following her progression I am only practising at grade 5 and at 67 it is a challenge. However, I do enjoy her playing videos on you tube. especially hypnosis by ian Clarke, I went straight out to purchase that piece and now practise it aat home (not in public I hasten to add) Does she have any comments or tips I could use when playing this piece. I also have one difficulty when playing the flute. I find the 3rd octave g sharp to f sharp quite difficult or vice versa. I know \I can use the b lever ( f# tril) for g but how can I make the g# >< f# easier ? Try relaxing your throat and corners of your mouth. Your face needs to be relaxed, and your jaw needs to drop. Play in the upper octave this way until this feels natural. Your tone should sound much at ease if you master that.